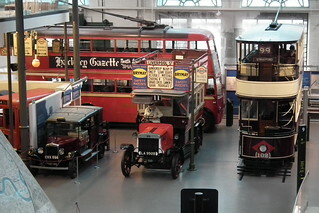 London Transport Museum vehicles. 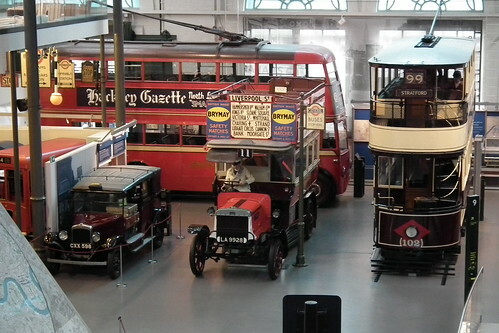 1937 Austin Taxi, 1911 LGOC B-Type motor omnibus & 1910 West Ham Corporation Electric tram. Taken at the London Transport Museum in Covent Garden, London, England.